About 4 months ago, my friend showed me a video of a spoken word by Janette Ikz called “I’ll wait for you” (search for it on YouTube if you wanna see it). I was so awestruck by this work of art that I became obsessed with spoken words. And the Christian ones just lift your spirit in a whole new dimension, you should totally try it. I was even inspired to write one myself ( see my post on almost saved ) but I’ve not had the chance to read it as a spoken word, I hope I get to do that. If you’re on my bbm or know me personally, you must have noticed that I’ve been making noise about a particular slogan “31 status”. Here’s the story behind it. After I became obsessed with Janette’s works, I dug deeper looking for more and this made me read a lot of articles about her. And so I found 31 status website! It was founded by her sister though. The theme, 31 status, basically revolves around the proverbs 31 woman and the website brings together young women who want to serve God in the 21st century. Cool yeah? Anyways, since the whole concept aligns with my new path towards building a relationship with God, I decided to join the movement. And here’s my own interpretation of the 31 status woman in the 21st century. Is strong, independent and beautiful both inside and out. She’s far from perfect but surrenders all her imperfections at the feet of Christ. She’s not scared to let people know who she is – a lover of Jesus. She cries, she fails, she falls but she never forgets that sorrow only lasts the night and the morning brings with it new mercies. No matter where she has been, no matter what she has done, she’s fully aware that God is more interested in who she’s going to be. Every time she’s let down, she stretches out her hands for the holy hands of Christ to pull her back up. She prays about everything, anything and anywhere. She prays without ceasing. She doesn’t allow anyone tell her she’s less than she is. She let’s God lead her as she follows blindly. She’s got the boldness of Esther, the submission of Ruth and the patience of Hannah. Being a proverbs 31 woman in the 21st century isn’t the easiest of things but that doesn’t change the fact that it’s a beautiful thing to want to be. It doesn’t happen in a day but it starts in a day. When do we start seeing ourselves as the princesses that we really are? When do we stop listening to lies when the truth is made available to us on a platter of Gold? When do we take up our roles as strong and beautiful women God intended us to be? I’ve started my journey and I’m on the 31 status ride. Care to join me? Don’t forget to email me moyosoreaj@gmail.com if you need to talk to someone, share a story on my blog or just have someone pray with you. I’d be more than glad to offer my little quota . 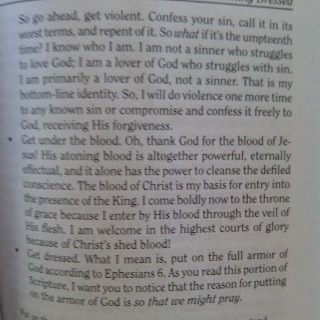 This entry was posted in BE INSPIRED and tagged 31, christian, decision, journey, proverbs, status, woman, young. Bookmark the permalink. “She’s not a lover of sin struggling to love God, she’s a lover of God struggling to leave sin” ❤️ that! What book did you get it from? The Proverbs 31 woman always seemed so busy to me. Where’s her “Me” time? I got it from a picture. IKR! She really is a busy woman o. I just hope my own version of her gets to have her “me” time.